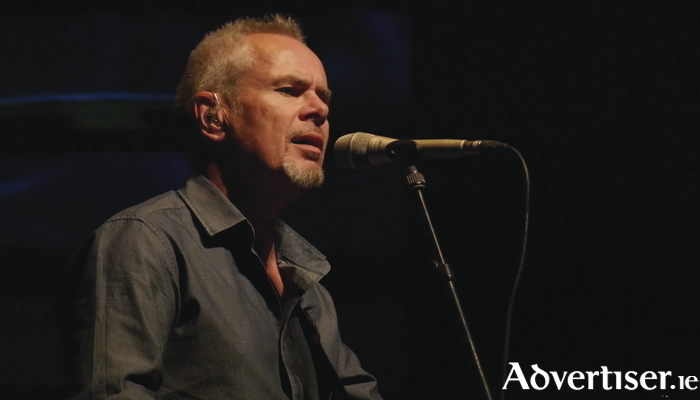 Advertiser.ie - Wouldn't it be good to see Nik Kershaw? Instead of just witnessing him as a piece of enjoyable TV nostalgia, Galway can see the man himself, in person and in concert, performing those very songs at the Black Box Theatre on Thursday October 5 at 8pm. Described by Elton John as “the best songwriter of his generation”, Kershaw took up guitar at 15 after watching a documentary on David Bowie. After three years working as a civil servant, he became a professional musician, playing in jazz fusion and functions bands. By 1983 he had gone solo, and signed to RCA Records. 'I Won't Let The Sun Go Down On Me' came out that year, reaching No 47. It would hit No 2 in 1984, after 'Wouldn't It Be Good' reached No 4 in January 1984. For the rest of that year and 1985, Kershaw was a major pop phenomenon, touring Europe, Canada, Australia, USA, and Japan and appearing at Live Aid. Another big hit of the era was 'The Riddle' inspired by The Riddler on the Batman TV series. While he never again scaled such dizzy heights, Kershaw has continued to record solo albums and singles, perform solo tours and appear at festivals, write music for film and TV, and work with Cliff Richard, Bonnie Tyler, Lulu, Ronan Keating, Jason Donovan, Nick Carter, Colin Blunstone, Petula Clark, Gary Barlow, and The Hollies. He wrote a duet for Elton John, 'Old Friend', and wrote songs for other singers, most notably 'The One and Only' for Chesney Hawkes. This is a 'Róisín Dubh presents...' concert. Tickets are available at www.roisindubh.net and from the Town Hall Theatre (091 - 569777, www.tht.ie ).